Valerie Levitt Halsey and Brett Halsey developed their passion for modern architecture and design while working in theatre and film, touring and photographing iconic mid century and contemporary modern buildings in the US, Europe and Japan. In 2013 they supervised AIA Award-winning architect David Levitt's renovation and redesign of 7536 Kimdale Lane, a mid century modern house in the Hollywood Hills. That project, which was featured in Curbed LA and elsewhere, led to design and renovation work in Santa Monica, project management of new single family residences in Echo Park and Chatsworth, and project management of Levitt Architects' major addition and redesign of a notable modern residence in Los Feliz. 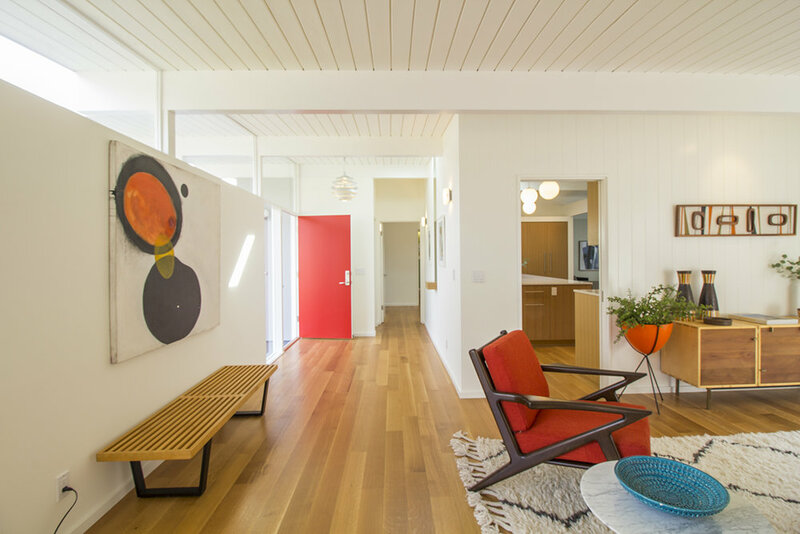 Levitt Halsey most recently collaborated with Levitt Architects on the renovation and redesign of 3525 El Lado Drive, an Eichler-style post-and-beam originally designed by mid-century architect David Lopez. The completed project was featured in Curbed LA as well as Dwell.com. We practice timeless modern design that emphasizes natural light, organic materials and an intimate connection to the environment. We collaborate with each client to establish practical and aesthetic goals, with a mind towards creating a space that is beautiful to experience and a pleasure to use. Levitt Halsey can manage every phase of your project including scheduling and budgeting, spearheading the plan check process, hiring and managing contractors, and troubleshooting during construction. 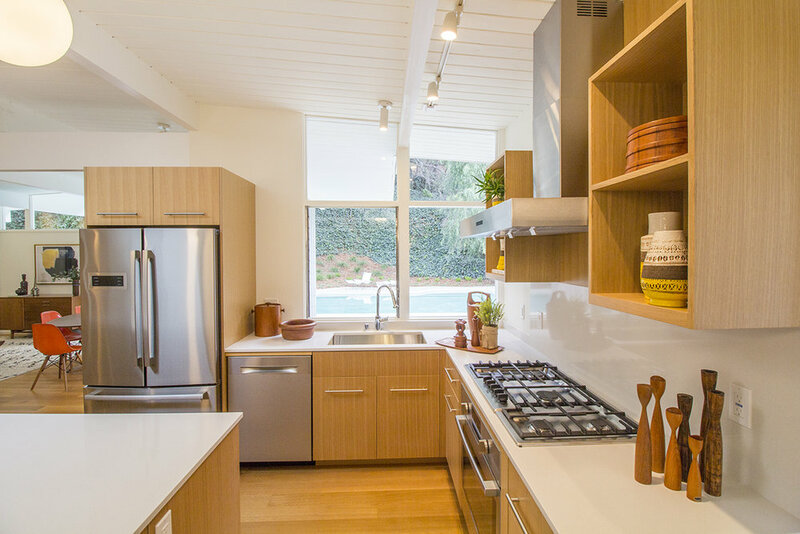 Our project management experience includes renovations and ground up construction, and ranges from small condos to multi million dollar single family homes throughout Los Angeles. Our Project Consulting service is designed to minimize your time and stress as you navigate the renovation process. Levitt Halsey can assist you from initial conception through completion, beginning with the establishment of practical and aesthetic goals and continuing to represent your interests in the complex interrelationship of architects, designers, contractors, vendors, and planning officials. Valerie Levitt Halsey is a real estate agent with Berkshire Hathaway Beverly Hills, and represents buyers and sellers of residential real estate throughout the Los Angeles area. A life long resident of Los Angeles, she has a deep knowledge of the Westside, Eastside, and the San Fernando Valley. Her experience with residential development and design makes her particularly adept at helping both buyers and sellers maximize the value of their property. Learn more and read what her clients have to say here. Thanks for contacting Levitt Halsey! We will reply within 24 hours.